In the literature (Cherniavsky, Kronenberg, Bulat and others) it is usual to distinguish between "Originals" and "Reprints" for the C.M.T. 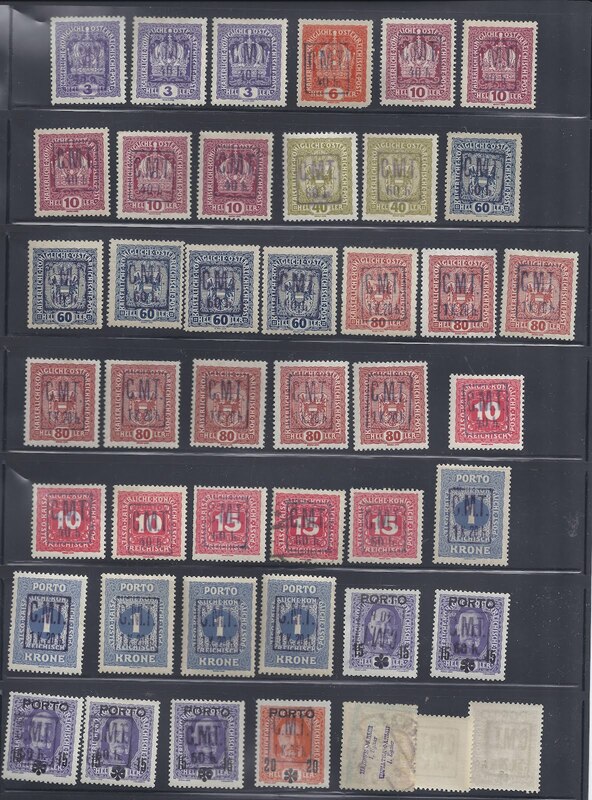 overprints from the Romanian Occupation of Pokutia. 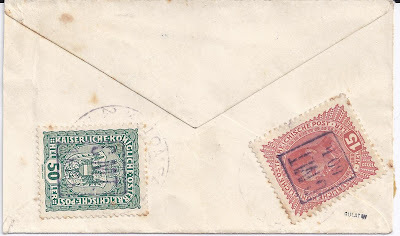 However, it is not in practice possible to distinguish Originals and Reprints from the handstamps (the same ones were used) or from the ink (the same ink pads were used). (2) Genuine C.M.T. stamps actually distributed in Pokutia. Here we know from Cherniavsky that only a limited range of combinations of basic stamp and overprint value were distributed in Pokutia and in limited quantities. John Bulat in his Catalog gives the same listing as Cherniavsky and I think we can assume this is correct. However, we will only be able to know that a stamp is from the batch distributed in Pokutia if it is USED and has a postmark from one of the offices to which the stamps were distributed and dated at the correct period. Maybe between twenty and forty covers exist which satisfy these requirements and an unknown number of loose stamps. 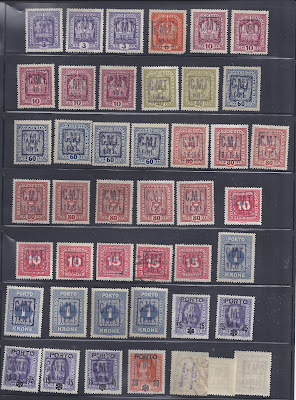 In addition, a number of mint stamps exist (I have only seen four or five) signed with the monogram of Dr Cherniavsky and it is reasonable to assume (but impossible to prove) that these stamps were ones which were among those distributed in Pokutia. 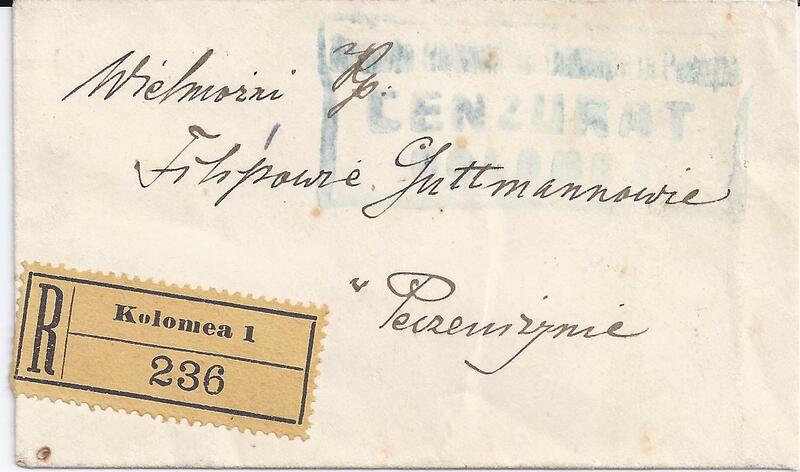 I also show one genuine cover, correctly franked (60h postage + 1k registration + 20h Charity Tax) which is unusual because it is NOT addressed to the District Court - most known genuine covers are addressed to the District Court in Kolomyja where Cherniavsky worked. The cover is ex-Zelonka collection (and Zelonka deciphered the date on the cancellation as 2 VIII 19) and signed BULAT BPP with a recent Ceremuga certificate.